What time will you be here? It is an innocent question. The answer controls the rhythm of our days. The answers always sound sincere: twenty minutes, or give me five minutes and I’ll be there. Or mañana, I will be there early tomorrow morning. We wait for friends to arrive. We wait for electricians, and repairmen. We are naively convinced that the person will arrive at the time he or she said. Eventually we realized that the word mañana doesn’t always mean tomorrow. It can mean, soon, or later, or tomorrow depending on the situation and the person. On the other hand mañana, mañana, loosely translates to tomorrow in the morning, can be a polite way of saying – it’s not going to happen, ever! This week we have been without internet for a few days, just our house and our neighbours’ house. 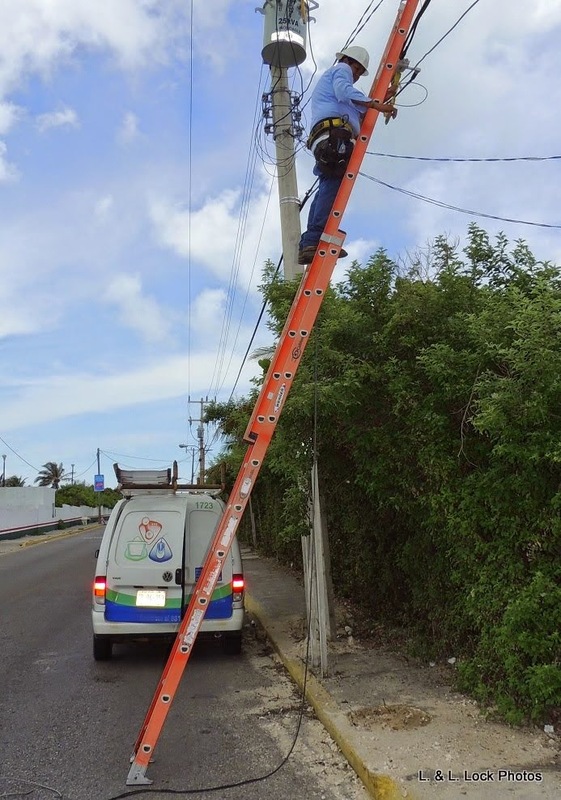 The electrical utility company CFE changed out a power pole last week. 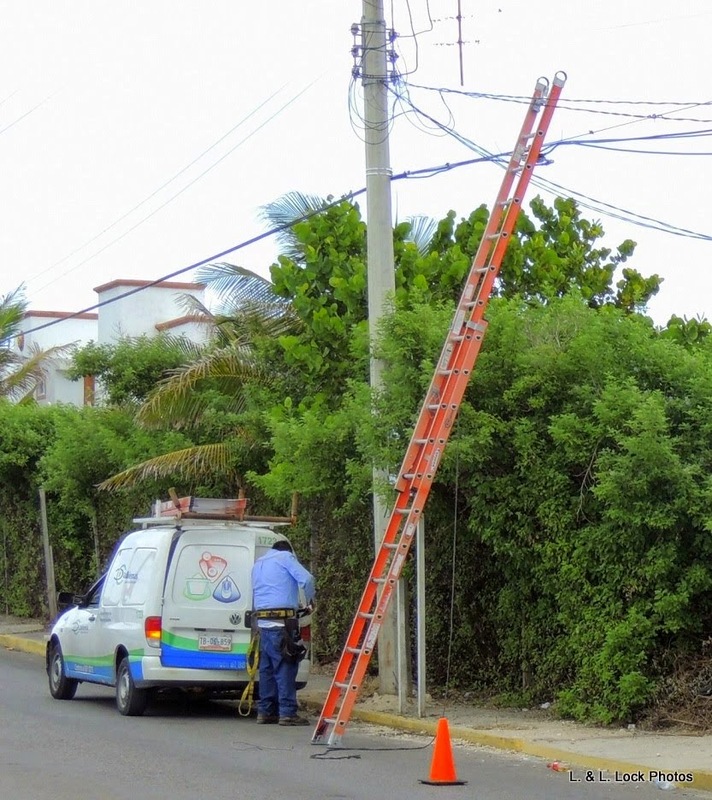 On Friday the internet provider, Cablemas, instructed the workers to move the internet lines over to the new pole. The cable was disconnected and dropped on the ground. Around lunch-time on Friday the CFE bucket truck and linesmen left. The electricity was functioning, but not the internet. Our neighbours depend on the internet for their on-line work; we use it for telephone, emails, news, and amusement. They have phoned Cablemas every day asking: when will the repairs happen? Lawrie and I visited the Cablemas office a few times, asking: when? The polite smiling answer varied: Sunday morning, later on Monday, or Tuesday afternoon, or Wednesday morning. This is day six! And still no sign of the repair crew. Maybe we should pay our Cablemas bill on Mexican time – mañana, mañana. Another frequent question is: What time does it start? Now there’s a loaded question. As well-trained polite Canadians we arrive at the scheduled start time. If an invitation says it starts at seven in the evening, we are there at seven in the evening. If the parade is scheduled to start at three-thirty in the afternoon, we are there with expectant smiles on our faces, cameras ready and waiting. Waiting, waiting, waiting. We have lingered on a sidewalk, or relaxed in our air conditioned car for up to three hours before the anticipated parade finally gets underway. Fortunately a supply of cold beer is always at hand to pass the time more pleasantly. But our most frustrating example of Mexican-time happened with the annual renewal of my FM3 visa, allowing me to remain in Mexico year-around. The renewal date was October 31st2012. Our lawyer friend, Tony Poot, handles the renewal for us every year. It’s just easier that way; except this time. Mexico City made a mistake on the FM3, registering me as a working resident. 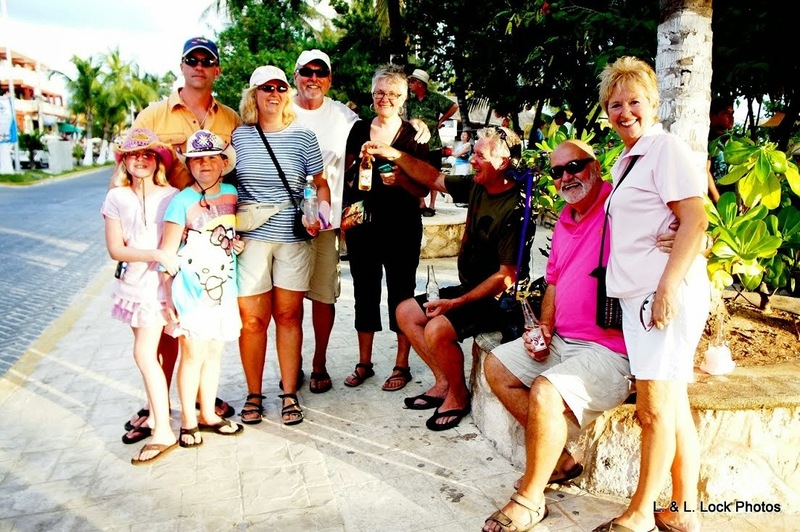 To rectify the mistake took an excruciating eight months, with our lawyer visiting the Cancun Immigration office every two weeks, hearing the same excuses. Come back next week. Come back next Monday. Next Friday. We are too busy. We have a lot of applications to process. And on and on. Finally on June 26th the visa was processed with a renewal date of – you guessed it, October 31st2013. 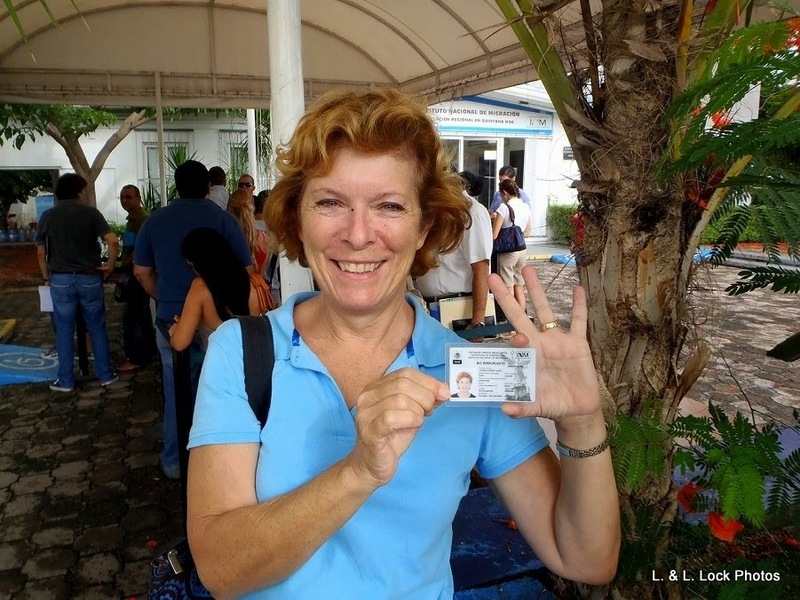 The immigration laws have recently changed and the next visa is a Permanent Resident’s card good for up to ten years. Sign me up! Wednesday July 10th – internet! As a follow up to our internet problem, we once again stopped by the Cablemas office at mid-day on Wednesday. Lawrie popped in to chat to Delores, who handles payments, repairs, and complaints. When will the internet be fixed? He asked. She was embarrassed. She didn’t know it still hadn’t been repaired. Ten minutes. She promised. And it was! Living on Mexican time, is frustrating, and it is fun. Frustrating when we need service but the person or the company is on Mexican time. 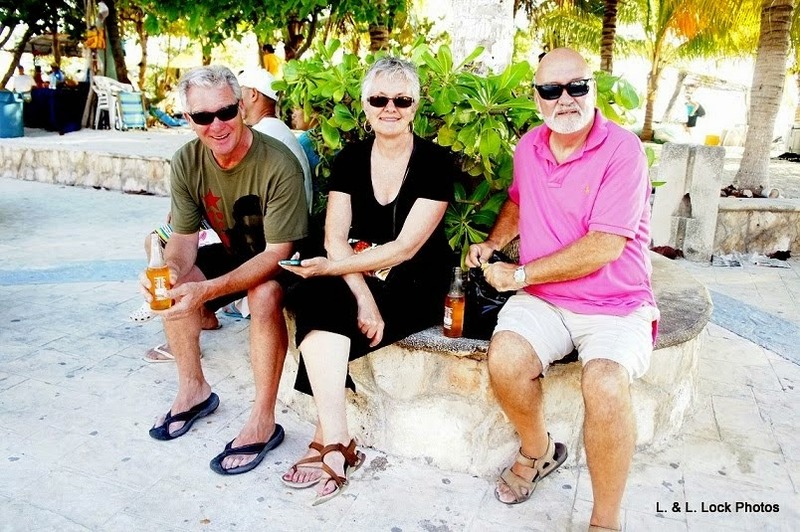 Fun when we don’t really care because we are retired, and living in paradise.